Startups – Apply for BBJ’s Innovation All-Stars 2015 Awards! 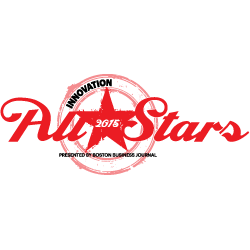 Home/Innovation/Startups – Apply for BBJ’s Innovation All-Stars 2015 Awards! Are you an entrepreneur disrupting an industry with your innovative startup? Consider applying for the Boston Business Journal’s Innovation All-Stars 2015 event, where we honor entrepreneurs and companies — especially those in the tech and life science fields — that are building unique brands, bringing innovations to market and starting trends. Winners will be featured in a special supplement of the BBJ in November and at the awards ceremony on Nov. 19. Individuals will be selected from such sectors as Advertising Tech, Business Application/Service, Consumer Service, Gadget/Product, Gaming/Entertainment, Mobile App, Social Media Tech, Startup, Advanced Energy, Biotech, Medical Devices, Hardware, Internet, Software and Telecommunications, and we also will honor the Lawyers, Financiers, Educators, Public Policy Makers, Trade Association Representatives, CEO’s and others whose products and services help the local Innovation economy thrive. There will also be the ultimate honor .. a Tech Luminary award for lifetime achievement.